DELIVERING DEATH, the sixth book in my series, was released January 7. Faithful fans may a few questions, such as why winter vs. summer? And what happened to the name in the title? My other titles have had three things going at once: alliteration, verb and name. It's hard to make all those things work together, and highlighting a name signals to readers which character is central before they even open the book. And sometimes that takes away the suspense. My editor and I thought dropping the name part gave us more flexibility regarding title. For the first time in my series, one of my books—SHUNNING SARAH—is being released in large print. It's even getting a new cover. If your library doesn't have it, put in a request. 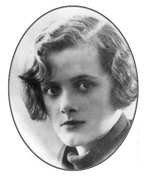 Acclaimed suspense author Daphne du Maurier wrote REBECCA—one of my all-time favorite books, so I'm thrilled that KILLING KATE won the Daphne du Maurier Award for Mainstream Mystery/Suspense. The award is sponsored by the Kiss of Death Chapter of RWA. SHUNNING SARAH landed a starred review from Library Journal: "Kramer, a former journalist and TV news producer, has outdone herself....the perfect mix of suspense, excitement, romance, and surprises to keep the discriminating crime fiction reader captivated." KILLING KATE FINALIST FOR DAPHNE! Acclaimed suspense author Daphne du Maurier wrote REBECCA—one of my all-time favorite books, so I'm thrilled that KILLING KATE has been nominated for the Daphne du Maurier Award. My novel is a finalist in the 2012 Mainstream Mystery/Suspense category. The award is sponsored by the Kiss of Death Chapter of RWA and the winner will be announced July 26. KILLING KATE FINALIST FOR BEST AMATEUR SLEUTH! "This is the best book yet in the Riley Spartz series; it's also the darkest. Kramer skillfully weaves several stories together in this fourth outing, with chapters from the serial killer's POV interspersed with Riley's first-person narration of events. The technique is so effective, you'll want to warn Riley that the killer is nearby! As usual, there's a nice amount of Midwestern lore and delicious insidery info about the TV news biz." MY FIRST ASSOCIATED PRESS REVIEW! AND IT RAN COAST TO COAST! "The fourth Riley Spartz mystery by Minnesota author Julie Kramer is her best yet...The writing is so crisp, it will keep readers turning the pages. TV reporter-investigative journalist Spartz is at her feistiest, the dialogue is at its sharpest and the main plot is chillingly suspenseful. There's plenty of action and a jaw-dropping penultimate scene that sets up the potential for another book in the series." SILENCING SAMa thriller about the murder of a gossip columnistwas a finalist for the 2011 Minnesota Book Award for genre fiction. MISSING MARK FINALIST FOR A DAPHNE! MISSING MARK was a finalist for the 2010 Daphne du Maurier Award for excellence in mystery/suspense by the RWA Kiss of Death Chapter. The Daphnes are named after the acclaimed suspense author of REBECCA, one of my all time favorite books. "Best-selling author Kramer has delivered her finest Spartz novel to date; fiction readers will love this riveting, action-packed journey into television news investigations." Julie Kramer kicks off a new author segment on ALMANAC, Twin Cities Public Television's acclaimed public affairs program. Watch as she gives a 30 second elevator pitch while host Cathy Wurzer is armed with a stopwatch. Here's a look at the covers for STALKING SUSAN, and MISSING MARK. Both will be published by Piatkus Books in the United Kingdom. My debut, STALKING SUSAN, will be released February 4 and the sequel, MISSING MARK, on June 3. 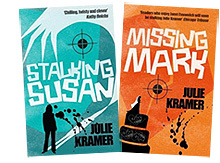 Julie Kramer's debut, STALKING SUSAN, won two fabulous fiction awards and was nominated for four others. RT Book Reviews made STALKING SUSAN a Top Pick, giving it four-and-a-half stars. "Great characters and a well-constructed, chilling plot make this a thoroughly satisfying novel. Riley is a character you will love, and this page-turner is difficult to put down. It ranks as one of the best debut novels I've encountered." 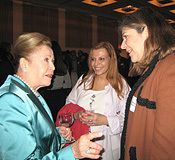 The award is given to the book most closely written in the Mary Higgins Clark tradition. She's self-made and independent, with primarily good family relationships. She is not looking for troubleshe is doing exactly what she should be doing and something cuts across her bow. The honor is given by the Private Eye Writers of America for protagonists who are paid to do their own investigative legwork, but are not employed by the government. So while journalists like my heroine, Riley Spartz, are eligible, cops and amateur sleuths are not. WCCO-TV reports that St. Paul's Cold Case Unit has used new forensics to test old evidence in the homicides of two women, both named Susan, strangled about 25 years ago. Police say DNA now shows that rather than a serial killer, the women were murdered by different killers. I first covered these homicides a decade ago as an investigative producer for the station. Some stories stick with journalists long after the newscast ends, and this one inspired me to write STALKING SUSAN. My debut novel is not their story. But in the world of fiction I was free to ask myself, what if? When I wrote STALKING SUSAN, I changed the victims' ages, appearances, occupations, and the time and locations of their deaths. I also changed their last names and considered changing their first names. But I decided to keep Susan because I never forgot them and I wanted others to remember them, too. Whenever I do media interviews, I always mention the names of Susan Ginger Petersen and Susan Jean Rheineck, and remind the audience that their cases are still open and the police still welcome tips. Click here for the real life story behind the Susans.